With an increased freedom in the digital payment options, more and more focus is on the cyber security. And, one company which has pioneered this field is Avenues India. Here’s an exclusive interview with Vishwas Patel, Chief Executive Officer of CCAvenues India, who explains more about the security aspect of your day-to- day transactions. With a rapid rise in cybercrime, how does CCAvenue provides a safe payment gateway to its customers? We, at CCAvenue, have always felt that the best way to improve customer trust in online payments is by offering greater control over the transaction process between merchants and their customers. Moreover, security standard certifications such as ‘Verified by Visa’, ‘MasterCard SecureCode’ VeriSign’ on our website convey a message to customers that their confidential data will never be compromised. CCAvenue was the first Payment Gateway in the country to achieve the PCI DSS security standard in 2007. PCI DSS aims to ensure that all organisations that process, store or transmit credit card information maintain a secure environment. At CCAvenue, we have consistently kept up with the evolving security landscape so as to achieve PCI DSS 3.1 compliance in 2015. Besides, we have also achieved ISO 27001:2013 certification that not only validates our efforts towards complying with the highest level of security standards, but also reinforces the trust our merchants have placed on us. Tell us about your multiple currency process. Being cognizant to the evolving needs of our merchant base, CCAvenue has always strived to upgrade its platform to enhance their business potential. We soon realised that a majority of merchants cater to international customers too. But due to lack of currency options during checkout, they miss out on valuable business opportunities. Our team developed a new payment processing platform to meet this requirement. We introduced multi- currency payment platform so as to make it possible for customers to pay in their local currency and avoid conversion disputes. CCAvenue now offers 27 major currencies such as the US Dollar, Euro, Pound Sterling, UAE Dirham, Baht and Yen, to name a few. Additionally, CCAvenue also offers a dynamic currency converter (DCC) that converts the cost of a transaction into the customer’s local currency at the point of sale. DCC is available for up to 120 currencies. CCAvenue has partnered with various banks like American Express, Standard Chartered bank for unique banking services, could you highlight some of these services? Our business relationship with American Express goes back a long way. CCAvenue was the first payment gateway to be certified by American Express for processing Amex and JCB cards directly through their Phoenix switch. We have also implemented American Express SafeKey, a 3-D Secure authentication tool that prevents online fraud by confirming the card member’s identity with an additional password. Furthermore, we have integrated Amex EzeClick, their quick checkout facility as well as Amex EMI. Even today, CCAvenue constantly forges alliances with leading as well as emerging banks to provide merchants with unique payment options. Currently, we have over 200 payment options including major Credit Cards, Debit Cards (All MasterCard /Visa /Maestro /RuPay Cards), Net Banking, Bank IMPS and Multi Bank EMI options. CCAvenue has South Asia’s largest Direct Debit Engine comprising the net banking facility of 55 banks. Our unique payment portfolio includes the core banking solutions of major banks such as American Express, Standard Chartered Bank, State Bank of India, Citibank, ICICI Bank, Axis Bank, HSBC Bank, HDFC Bank, and many more!. 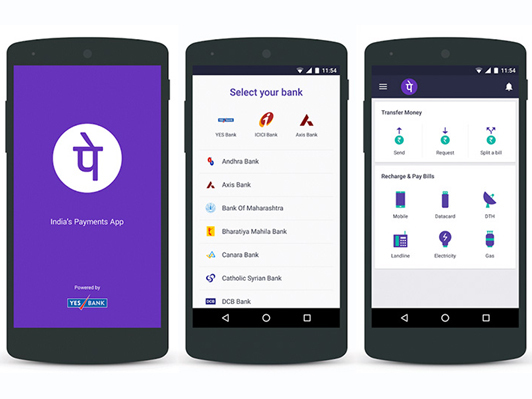 Soon, we shall be launching UPI (Unified Payments Interface) as a payment option. Built upon the IMPS mobile payment system, UPI will help our merchants by facilitating instant fund transfers through a unique virtual payment address. How is CCAvenue helping in the e-governance initiative of the government? CCAvenue has always supported government initiatives by enabling payment processing for their products and services. We help several government organisations in accepting online payments for challans, taxes, and other bill payments. An RBI committee has estimated that over 30,800 million bills amounting to Rs 6,223 billion are generated each year in the top 20 cities in the country. CCAvenue was one of the first payment entities to receive in-principle approval from the RBI to operate as a BBPOU (Bharat Bill Payment Operating Unit) under the Bharat Bill Payments Systems (BBPS) and has now begun pilot testing the project with NPCI (National Payments Corporation of India). CCAvenue will now be able to operate as an individual bill payment collection operating unit. We will leverage the BBPS platform to collect bill payments on behalf of any service provider in the country, thereby leading the path to ‘FinServ Convergence’. CCAvenue helps several government organisations in accepting online payments for challans, taxes, and other bill payments. How does CCAvenue help in maintaining the e-wallets of its customers? Today, every other player in the market is coming out with their own wallet as a customer acquisition strategy. Most of them offer discounts, cashbacks and other incentives to encourage higher transactions from customers. However, CCAvenue has always remained a neutral payment gateway. We make sure that our merchants’ customers remain their customers, and are not prone to be churned. We are a ‘customer convenience’ platform, not a customer acquisition platform like some of our competitors. CCAvenue is the country’s largest aggregator of third party wallets and have all the major wallets integrated on our platform – Reliance JioMoney, Paytm, MobiKwik, State Bank Buddy, Ziggit by IDFC Bank just to name a few. As more and more wallets are introduced, you can be sure that CCAvenue will include them in its widest payment network.